Black And White Tablet Computers With Blank Screen Mockup Lie.. Stock Photo, Picture And Royalty Free Image. Image 37536632. Stock Photo - Black and white tablet computers with blank screen mockup lie on the surface, left and right side view, isolated on white background. 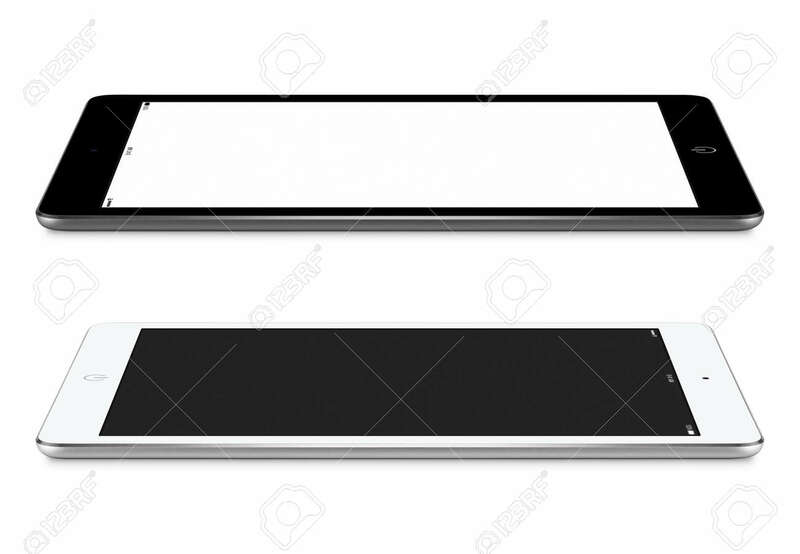 Black and white tablet computers with blank screen mockup lie on the surface, left and right side view, isolated on white background.